T-RackS 3 Shell is a special limited version of T-RackS 3, the mastering and mixing suite of 9 analog modeled and digital Dynamics/EQ processors. 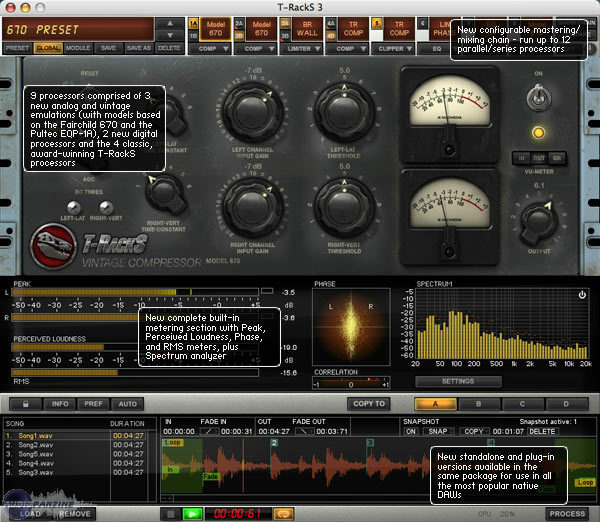 T-RackS 3 Shell includes the Classic T-RackS Equalizer, a six band parametric equalizer, modeled on classic analog gear, plus a Metering Suite. According to IK, "T-RackS 3 Shell is designed to demonstrate the unlimited possibilities of T-RackS" 3 and qualifies users for special discounted prices on the T-RackS 3 Deluxe upgrade and also on discounted crossgrades on IK products. T-RackS 3 Shell is available only in combination with other products and not for purchase separately. 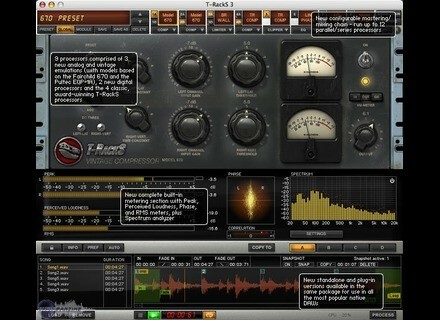 Visit www.ikmultimedia.com/trshell for more details. Tek'it Audio APC v1.1 Tek’it Audio has released version 1.1 of APC, a virtual re-creation of a popular DIY circuit the Atari Punk Console. Manx Super-Jay Manx has released the Super-Jay software synthesizer and reduced prices for the MM+ and XS-1 softsynths.